Every employee of the Sangathan shall retire in the afternoon of the last day of the month in which he attains the age of sixty (60) years except those who are born on the 1st day of the month who shall retire on the last day of the previous month. 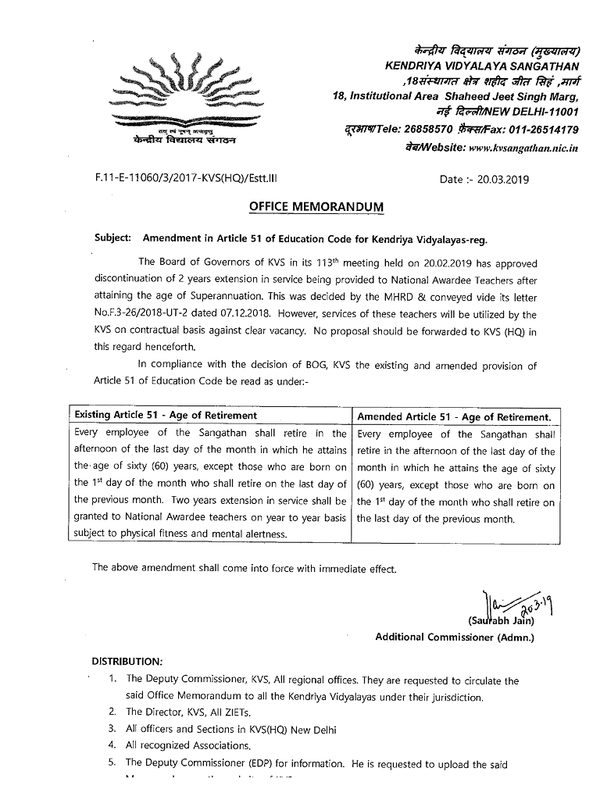 Two years extension in service shall be granted to National Awardee teachers on year to year basis subject to physical fitness and mental alertness. 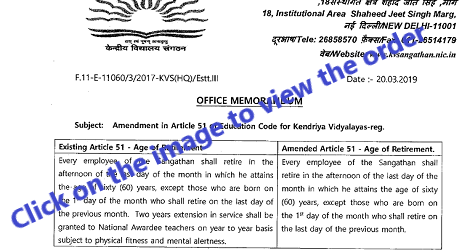 Every employee of the Sangathan shall retire in the afternoon of the last day of the month in which he attains the age of sixty (60) years, except those who are born on the 1st day of the month who shall retire on the last day of the previous mounth. All officers and Sections in KVS(HQ) New Delhi.